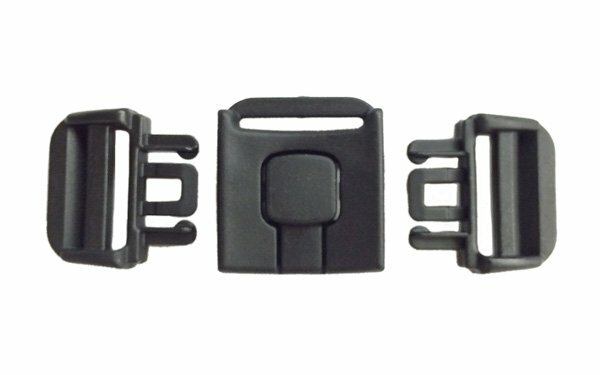 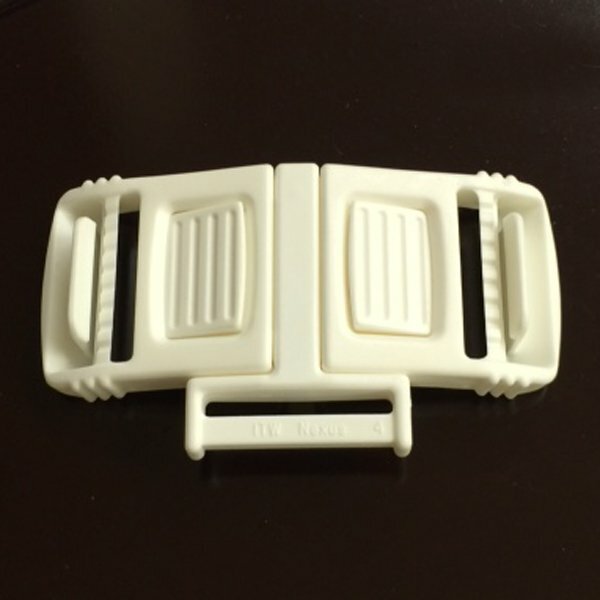 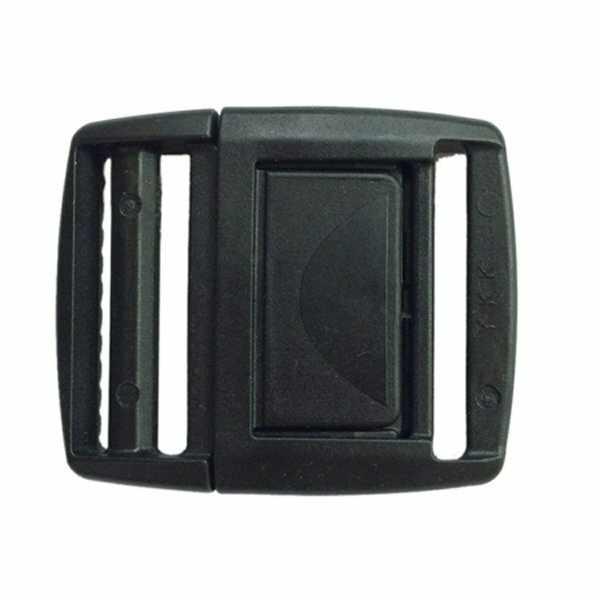 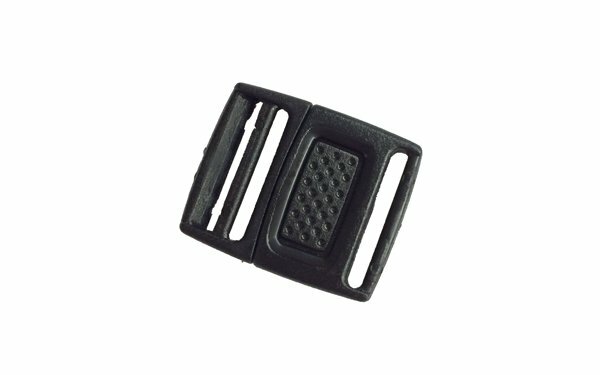 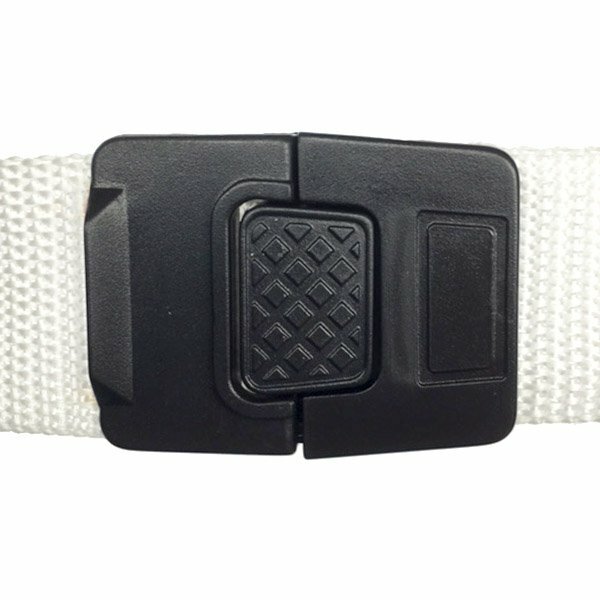 Center Release Buckle have a lower profile than side release buckles. 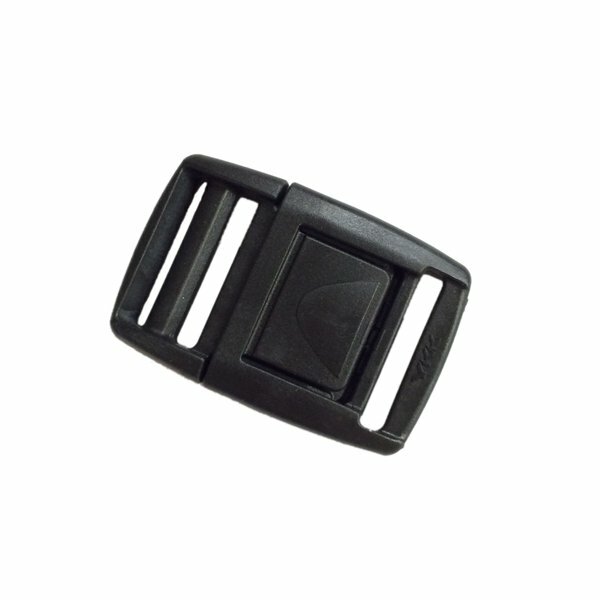 They glide easily apart with a push of the center button. 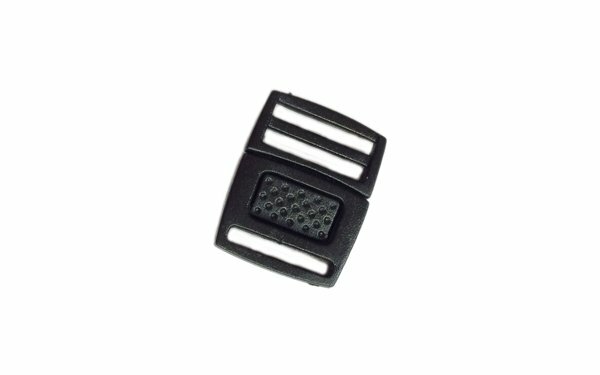 The ladder lock at one side makes adjustment simple.